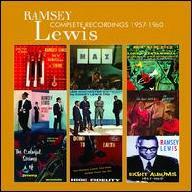 Pianist and composer Ramsey Lewis has been a major figure in contemporary jazz since the late '50s, playing music with a warm, open personality that's allowed him to cross over to the pop and R&B charts. 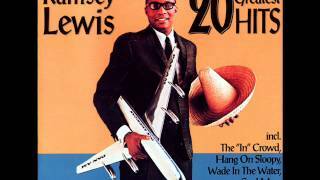 Lewis was born in Chicago, Illinois on May 27, 1935, and was introduced to music by his father, who directed the choir at a local church and enjoyed the music of Duke Ellington and Art Tatum. Lewis began studying the piano when he was four years old, and was soon accompanying the choir at Sunday services. At the age of 15, he joined a jazz combo called the Cleffs, who played at parties and dances. 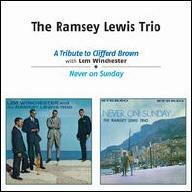 Lewis was interested in a leaner, more bebop-oriented sound, and when the group splintered after several members joined the military, he formed the Ramsey Lewis Trio with two other former Cleffs, bassist Eldee Young and percussionist Redd Holt. 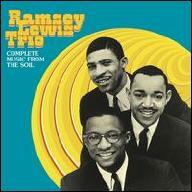 The trio became a fixture on the Chicago jazz scene, and they were signed to a deal with Chess Records, releasing their first album, Ramsey Lewis His Gentlemen of Jazz, in 1956. 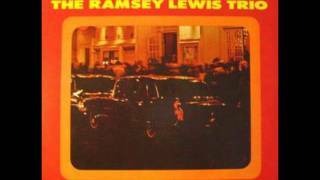 Lewis and his trio continued to record and tour steadily over the years, building a sizable audience among jazz fans, but their career received a serious boost in 1965, when they recorded a swinging version of Dobie Gray's hit "The In Crowd" at a gig in Washington, D.C. Chess released the track as a single, and it became a sizable pop hit, earning Lewis his first gold record, as well as a Grammy Award for Best Jazz Performance. 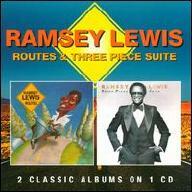 As Lewis' star rose, he returned to the pop charts in 1966 with versions of "Hang on Sloopy" and "Wade in the Water." Meanwhile, Young and Holt left Lewis' trio to form their own group, Young-Holt Unlimited, and the pianist hired a new rhythm section, Cleveland Eaton on bass and Maurice White on drums. In 1970, White resigned to form his own group, and Morris Jennings signed on as the trio's new percussionist. Lewis continued to record for Chess until 1972, when he moved to Columbia Records, and as his music developed a more contemporary groove, White's group, Earth, Wind Fire (also on Columbia), was beginning to enjoy considerable success on the R&B charts. 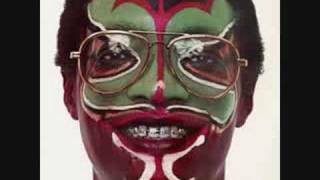 White produced Lewis' 1974 album, Sun Goddess, in which he experimented with electronic keyboards for the first time, and several members of EWF played on the sessions; it became a major crossover hit and took Lewis to the upper ranks of the smooth jazz/fusion scene. 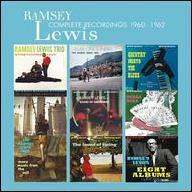 Lewis would record R&B-influenced material through the '70s, but continued to explore his roots in more traditional jazz sounds as well as Latin rhythms. 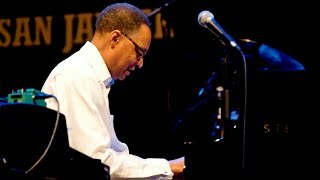 In 1983, he went into the studio with Eldee Young and Redd Holt for the album Reunion; in 1984, he collaborated with Nancy Wilson on The Two of Us; in 1988, he recorded with London's Philharmonia Orchestra for the album A Classic Encounter, and in 1989, Lewis and Dr. Billy Taylor cut a set of piano duets, We Meet Again. In 1992, Lewis signed with the successful jazz label GRP Records, and in 1995, he launched the side project Urban Knights, in which he collaborated with a handful of successful crossover jazz stars, including Grover Washington, Jr., Earl Klugh, and Dave Koz. 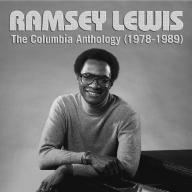 In 1997, Lewis added disc jockey to his résumé, hosting a popular show on Chicago's WNUA-FM that ran until 2009; the show went into syndication in 2006 under the name Legends of Jazz with Ramsey Lewis, and is still on the air. 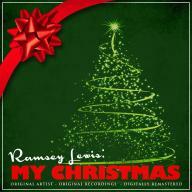 In 2005, Lewis looked back on his roots in gospel music with the album With One Voice, which earned him the Stellar Gospel Music Award for Best Gospel Instrumental Album. In 2007, he was commissioned to write a jazz ballet for the Joffrey Ballet Company, and "To Know Her..." debuted at Highland Park, Illinois' Ravina Music Festival, where Lewis is artistic director of the festival's jazz series, and helped found their Jazz Mentor Program.